Enjoy a complimentary hotel pick up early in the morning. After a brief introduction, depart from Nairobi at 8.00am for Nakuru national park. 2.5 hours’ drive to top cliff lodge Nakuru. Top cliff lodge gives you the Birds eye of Nakuru National park and Nakuru town. You arrive in time for lunch and check in. Later depart for afternoon game drives returning late for dinner and overnight. Lake Nakuru is also referred as the “pink lake” due to thousands of flamingos that hatch and fly over the lake. It is an ideal park for bird watching. Lion, Rhino and buffalo are present here. Early morning game drives at Lake nakuru national park. Later depart for maasai mara with a stop on the way for hot lunch. This is your full day game drive in Maasai Mara National museum. Depart with packed lunch which you will enjoy near Mara River with spectacular views of the Mother Nature hidden in Maasai Mara. You return later for dinner and overnight. : Depart for immigration Esibania border with your packed lunch which you will enjoy on the way. Drivers will change and you will have a new driver for the remaining part of the safari. Drive to ikoma tented camp and check in for dinner and overnight. This afternoon is spent on leisure at the camp. Animal comes near the camp so you have chance to see animals at your rooms verandah. 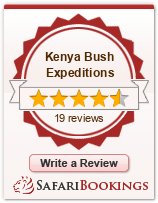 Check out and proceed for full day game drives in Serengeti national park. Serengeti national park is wide with many animals. Later in the afternoon check in at Seronera wildlife lodge one of the best safari lodges located inside Serengeti national park. Depart via game drives en route to Ngoro Ngoro crater. Full day at the Ngorongoro conservation reserve. Enjoy packed Lunch at the crater. Game drives till late when you check in at Eileens trees hotel for dinner and overnight. Enjoy hot breakfast and depart for Tarangire National park. Depart with packed lunch for full day tour. Later in the afternoon, proceed to Arusha town and check in for Lunch at Moivaro lodge. Breakfast and stay in the hotel premises till 12.oo noon when our driver picks you for Arusha shuttle to Nairobi.